Getting outside and hiking is not only wonderful for your physical and mental health, but it’s a great way to explore nature. Like many people, hiking is something I turn to for exercise, socializing with friends and exploring this beautiful world we live in. There’s definitely something special about relying on your own two feet to get you from A to B. If you’re new to hiking, this guide covers all the basics, including how to plan, prepare and gear-up for your first hike. Already enjoy hiking? Well you may just find some new trail tips or gear inspiration. Let’s do this! Wearing: KEEN Terradora’s, Darn Tough socks, North Face leggings, Topo Designs vest. It’s totally possible to go hiking solo, but most beginners enjoy hiking with a partner for company and safety. I personally enjoy hiking with my husband and friends, but it’s nice every now and again to go on a solo adventure. There are numerous ways to find buddies to hike with. You can post on your personal social media pages (Facebook, Instagram, Twitter) to see if anyone you know also shares the same interest. You could consider joining hiking related groups on Facebook. 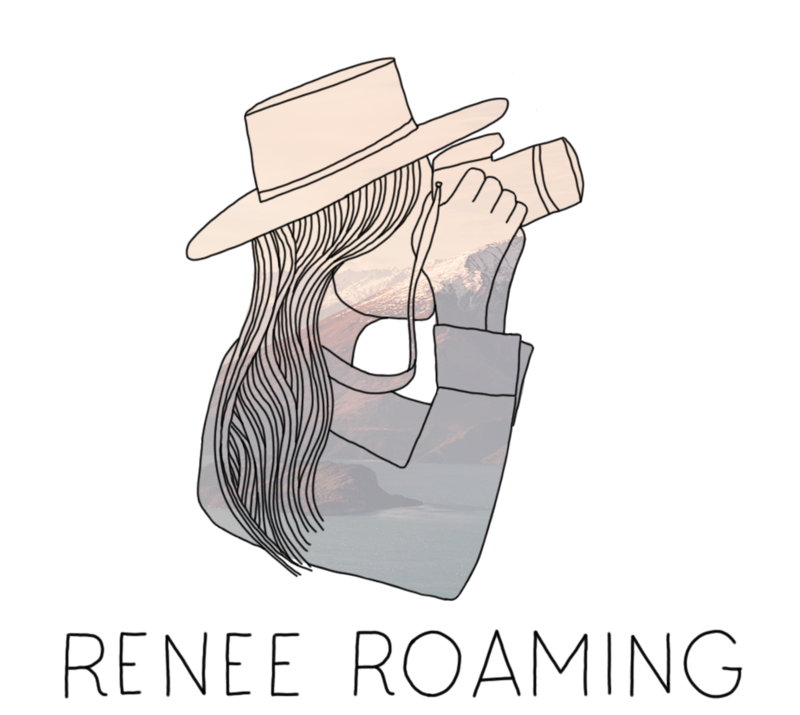 I am a member of some pacific northwest women’s hiking Facebook groups such as Seattle Outdoor Women Meetups, Girls Who Hike WA, Mtn Chicks PNW, and Women Who Hike Washington. Plus some unisex groups like Washington Hikers & Climbers, and Hiking in the Pacific Northwest. When I first moved to America I found numerous hiking partners via Meetup groups in my local area. I never had any bad experiences, but always use common sense when meeting up with strangers. If you are planning to hike solo, be sure to tell someone your plans before heading off and take a means of communication in case you run into any problems (more on this below). Wearing: Danner Mountain Pass boots, Smartwool socks, North Face leggings, Topo Designs jacket. It’s important to always know where you are going, how to get there and how to get home safely. First step: decide on your hike. Websites such as The Outbound and All Trails are great resources for choosing hikes in your local area or planning a hiking trip further away. Be sure to factor in distance, elevation, conditions and your time when choosing a hike. Start with easier trails and advance to longer day-hikes (and even overnighters) when you are more experienced. Third step: have a means of flagging down help if you do find yourself lost. Research whether you will have phone service on the hike, and if not I would consider taking a tracking/SOS device such as the Garmin InReach (spoken more about below). Don’t overlook the importance of having socks that fit correctly and are comfortable to wear for a long time. Over the years I have found that Darn Tough, Smartwool, and Icebreaker are the most durable, least smelly and most comfortable hiking socks. On the trail I personally prefer to wear hiking pants or full-length workout leggings. Covering my legs means less scratches, protection from sunburn and a lower chance of getting any pesky tics/leaches decide to hitch a ride. In saying that, loads of people enjoy hiking in shorts or convertible pants. Check out my favorite hiking pants by Arc’teryx here, and my favorite leggings here. Similar to above, I often prefer to hike in longer-sleeve light-weight base layers (these Patagonia ones are my favorite). I personally hate wearing sunscreen so this is a great way to protect myself from the sun whilst avoiding having to carry and re-apply sunscreen. There are a few types of jackets that hikers typically reach for: a rain jacket, down jacket, and a wind jacket. You certainly don’t need to own all three of these but I would always recommend having some sort of insulation/protection layer that is suited to your hiking climate. You might be wondering why I would own a wind jacket as well as the above…? The reason is that often the wind chill makes hiking less enjoyable, but it’s just too sweaty hiking in a rain or down jacket. That’s where a light-weight and breathable wind jacket comes in handy – I use the Arc’teryx Squamish hooded jacket. I like to protect my face from the sun and will often wear this Patagonia cap when out hiking. Many people opt for a wider brim hat to protect their necks (like this one), and I also often grab a lightweight bandana or Buff in those situations. Spring and summer months also often call for a mosquito head net and winter months may require a beanie. Having sunglasses makes hiking a LOT more enjoyable on a sunny day (or when it’s overcast with a lot of glare). Plus, polarized sunglasses will cut the reflections and glare on those beautiful lakes you are looking at (bonus!) I love my Proof Eyewear shades and don’t go anywhere without them. I nearly always have a pair of light-weight gloves me on, especially when hiking during the early morning hours or late in the day. The North Face and Icebreaker both make a range of good choices. Pictured: Topo Designs backpack, Hydroflask, Patagonia fleece, Arc’teryx wind jacket, InReach Explorer+, Proof Eyewear sunglasses, Petzl headlamp, medical kit. I would recommend taking some extra items with you when out hiking, especially if it’s a longer walk. Listed below are some items you may consider taking along, but please note that you don’t have to own everything mentioned to get out and enjoy hiking! You could technically hike without a daypack, but it might be challenging to carry your drink bottle, layers etc. without a small space to store them. I personally prefer to hike with my camera bag or a daypack. My go-to’s are the Osprey Tempest 20L and the Topo Designs Rover Pack with a camera cube/insert. If you want something a little more stylish for around town and also on the trails, the Fjallraven Kånken is a great choice. A water bottle or hydration bladder is an absolute must when hiking. Dehydration can be a killer so it’s not something to skimp on. I personally haven’t had a great experience using hydration bladders so I stick with my trusted Hydroflask and Nalgene water bottles. Hydroflask’s will keep your water cool (or warm) for the whole day, and Nalgene’s are super lightweight and can also function as hot water bottles when winter camping. No one likes a hangry hiker so be sure to pack plenty of snacks. My go-to are granola bars, energy chews, fruit and trail mix. It’s important to have a means to call for help if you find yourself in a precarious situation. You may be taking local hikes where you have phone service, but if not it might be worth investing in a device that has an SOS feature and tracker, like the Garmin InReach Mini or Explorer+. My husband and I didn’t make this purchase for quite some time after we got into hiking, but it now gives us peace of mind on longer treks and more risky hikes. As mentioned above, your phone is a great to use for emergencies and navigation when you have service. There are some options for when you are offline, such as the Gaia app and the Maps.Me app. Traditional paper maps are also fantastic to have on hand if you have some basic navigation skills. We usually try and have a mix of phone apps, our InReach device and a paper map when going on longer hikes, just to be sure! Depending on where you are hiking, it’s probably best to either wear or take sunscreen and bug spray with you. Ticks and mosquito-born diseases are no joke in many places around the world so best to be prepared. As I said above, I often choose to hike in full-length clothes to avoid wearing sunscreen (especially when camping and sleeping in a tent) and I sometimes wash my clothes in mosquito deterring solution/spray for longer trips. I always at least have some blister-pads handy when out hiking, and preferably a few other items or a light-weight first aid kit. This isn’t absolutely necessary but it might save you (or something else) in an unfortunate situation. I personally always take my headlamp when hiking, even if it’s in the middle of the day. The reason being is that sometimes I choose to stay out longer than expected, or the hike takes longer than planned, or in case I was to get lost. Most headlamps are fairly lightweight so it won’t add much to your pack. I enjoy using the Petzl Actik headlamp. This is optional, but you might like to have a camera (or a phone) on you to take some snaps! My go-to mirrorless camera is the Sony A7Riii, plus I sometimes use the Sony RX100V for more on-the-go type photography. I also use the iPhone X for camera photography/quick snaps. Just a quick (but very important!) note about abiding by leave no trace (LNT) principles and respecting nature. Please be sure to educate yourself on proper hiking etiquette before heading out. More information can be found via the Leave No Trace Center for Outdoor Ethics. Disclaimer: Thank you to Backcountry for collaborating on this blog post. The offer of 15% off does not apply on top of any other offer or discount, and it’s one use per customer. As always, all opinions are my own. This post does contain some affiliate links, which means if you buy something my blog will receive a small commission at no extra cost to you. I have learnt so many new tips for hiking from your blog post. Thanks so much for all the info. Keep up the great work. Thanks for these tips Renee! We will do some hikes in PNW in September and we are already full of anticipation! Yay! Glad you found it to be helpful! I’ve always wanted to get into hiking, and now I think I know how. Thanks! Gorgeous gorgeous gorgeous photos! As usual! Slowly gathering my gear together but these are such great tips ? Such a comprehensive list, and those pictures are awesome! This is my first visit to your site, and I am glad I stumbled upon it. I will definitely be back. Thank you James! It’s nice to have you here! loved this! thanks to BriannaMacias.com for sharing this with me! cant wait for Yosemite in a few weeks!! Enjoy 🙂 Love that park! Wow, that’s an extensive list. Great job covering different options and skill levels. Great work! Everything you have mentioned is needed for hiking. And most important thing brave heart is also needed. Thanks for sharing your informative article. You made a great guideline for beginners. It would be helpful for beginners to hike. Thanks for sharing your guideline. I found your article well written and very helpful. I found that I didn’t think of some of the stuff you wrote about.